"Isn't my presence present enough?" 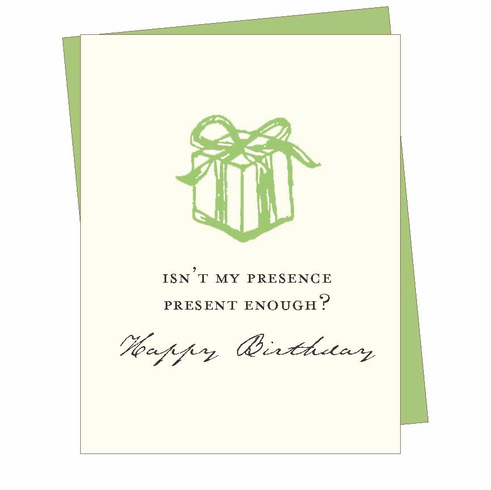 asks this funny, elegant little birthday card. Blank inside.